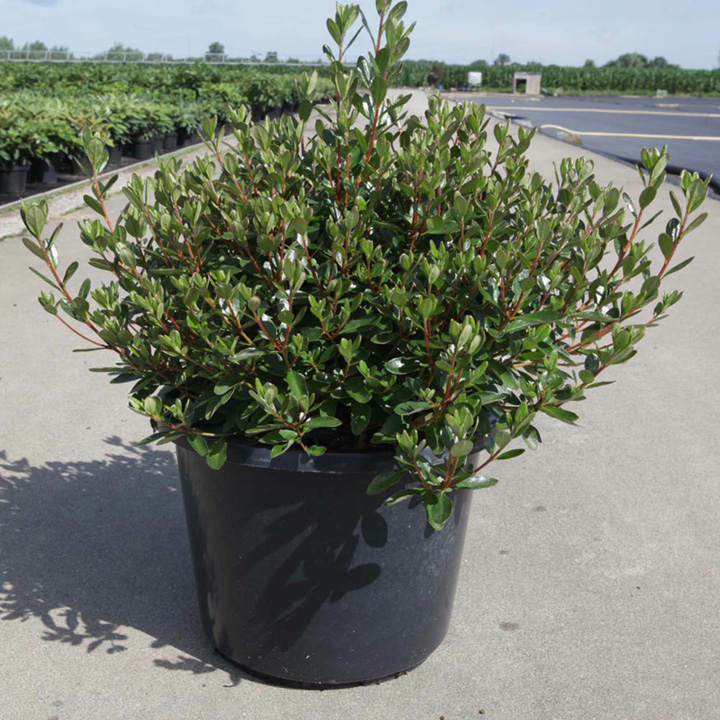 An evergreen azalea with a spreading growth habit. The small dark green leaves set off the stunningly bright orange-red flowers in May and June. Height 90-100cm. Supplied in a 2 litre pot.